Compass & Coffee Spoons: Back Home! Lest I lose some of my most faithful readers, I wanted to do a quick post! Sorry for the hiatus...my trip to Costa Rica was quick but fantastic. 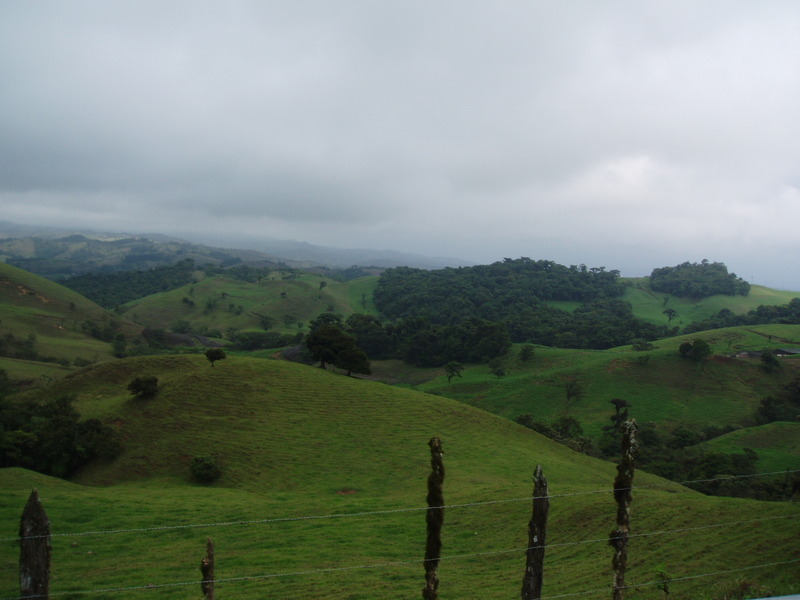 I definitely want to go back as well as visit Central America more. I arrived on Thursday afternoon and was swiftly picked up by my driver Willy, a fantastic driver who I'd recommend to anyone. He used to work for other tourist agencies, but recently bought his own van and struck out on his own. I went with him versus going through a tourist agency, because I wanted to eliminate the middleman. We passed through San Ramon--where Willy saw a potential apartment...he reported later that it wasn't what he was looking for so his search continues! His mechanic gave him some good advice, and we were on our way in no time. 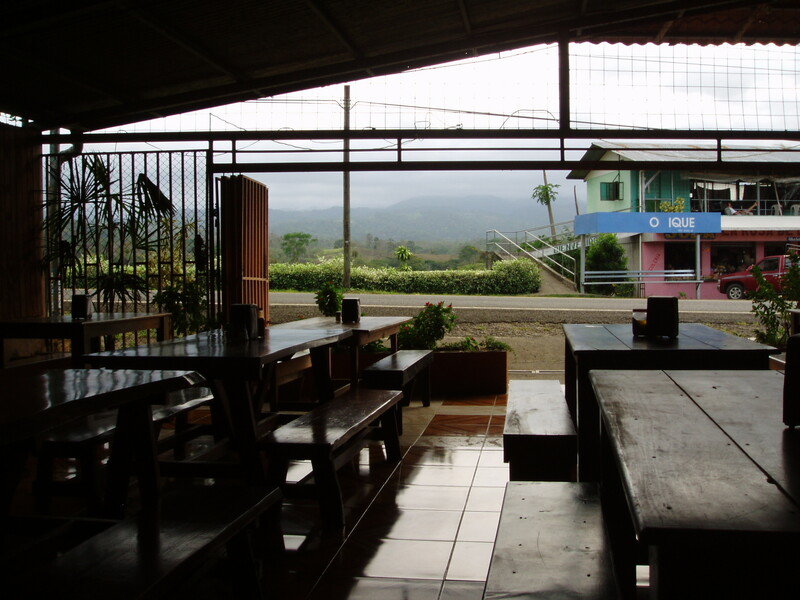 My tummy began to growl, so we stopped for some comida tipica at this restaurant, which is a tipical roadside restaurant in Costa Rica. There are a TON of them on the road from San Jose to Arenal to cater to all the tourists. We arrived in La Fortuna at sunset--which happens around 6. 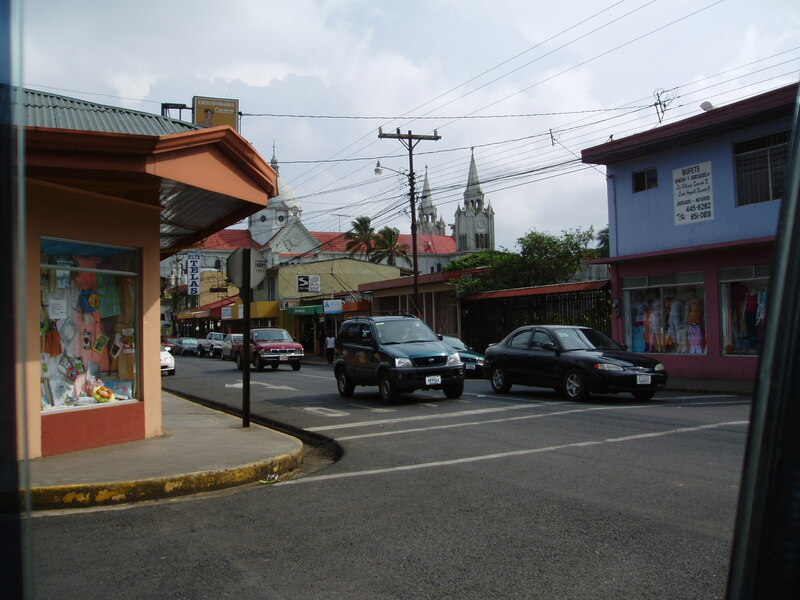 La Fortuna is the gateway town to the Arenal Volcano. This volcano was dormant for thousands of years until 1968 when there was a huge explosion. It's been in a constant state of eruption ever since (mostly minor). This volcano doesn't erupt with molten lava, but rather with lava rocks tumbling down its sides. Anyway, in order to plan my tours the following day, Willy stopped at Canoa Aventuras in La Fortuna and I booked a tour (you'll hear more on that later). We got to my hotel--the Arenal Observatory Lodge--after a bumpy dark drive in the rain. 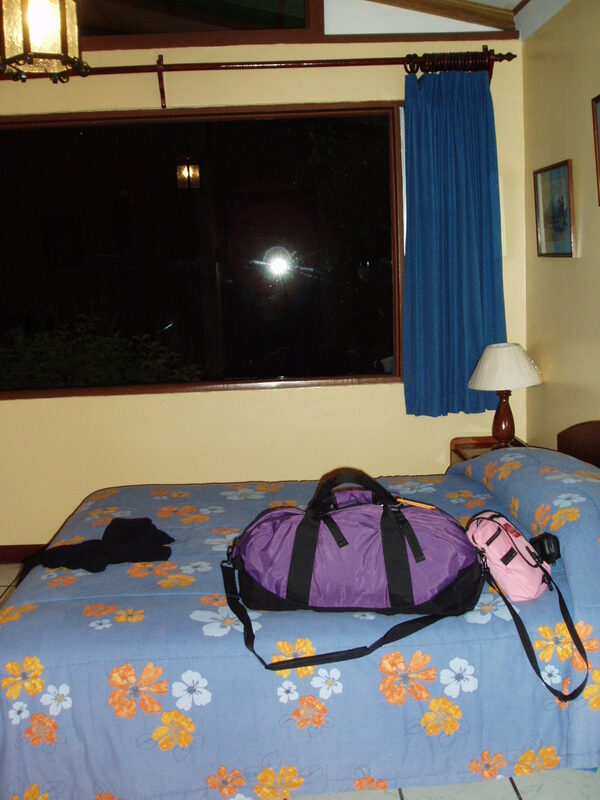 It was a bit creepy, as my room was down a dark path in the drippy rainforest, but the room was quiet and comfy. It was there that I said goodbye to Willy and tucked in for the night after a quick dinner at the lodge's restaurant. I laid down in the dark and discovered the real treat of the lodge--a view of lava rocks whenever the volcano is clear enough to see. As I lay in bed, I saw red rocks tumbling down the sides--nature's fireworks. Though my eyes were heavy, I couldn't stop watching the amazing power of nature! Hey, I was wondering why you hadn't posted...I forgot that you were going away so soon!